Chelsea negotiate with Atletico. Lukaku interest cooling? Chelsea approach 264 goals in 430 games striker! 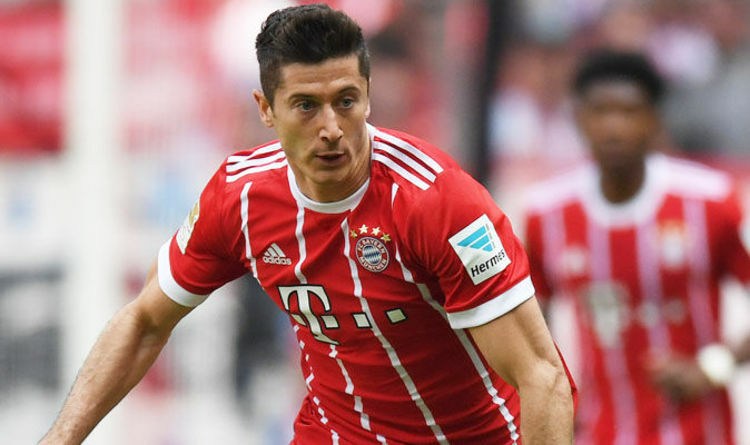 According to reports, Chelsea have started negotiations with Atletico over Diego Costa, have cooled their interest in Romelu Lukaku and have made an approach for Robert Lewandowski. Let me start by saying that this is all I have to say about the Diego Costa situation. It's clear he has been told by the manager that he is not part of his plans and will never play for Chelsea again. If we can get a deal done for £50m then that's excellent news no matter where he goes. As for Romelu Lukaku? Well this week was supposed to be the week that he re-signed for Chelsea but news of an approach for Lewandowski has put any deal into doubt with Alvaro Morata also pushing for a move to work with Conte. I wouldn't be surprised if the Lukaku deal is still completed this week or even next as it seems that everything has been agreed in principle. We just need to get the deal signed on the dotted line to put an end to months of speculation. You would have to imagine that the Belgian striker would demand assurances that he would come here as number one however. So what of our link to Robert Lewandowski? At first I thought it was rubbish and just an attempt by his agent to try and get more money out of the German club. Then I read that he is unsettled and has fallen out with the club because he felt that they did nothing to help him become the Bundesliga top scorer at the end of the season. He feels betrayed and is looking to leave with one eye on the Premier League with London being of particular interest. I still cannot see anything happening here despite the fact that he is one of the best strikers and finishers in the game today. A potential move would cost Chelsea an absolute fortune and I doubt if they would want to spend money on Lukaku as well as the Polish striker? As I say, I'll expect the Lukaku and Costa deals to be completed. It would be nice to get Lewandowski but I cannot see it! Source: The Mirror here and here.